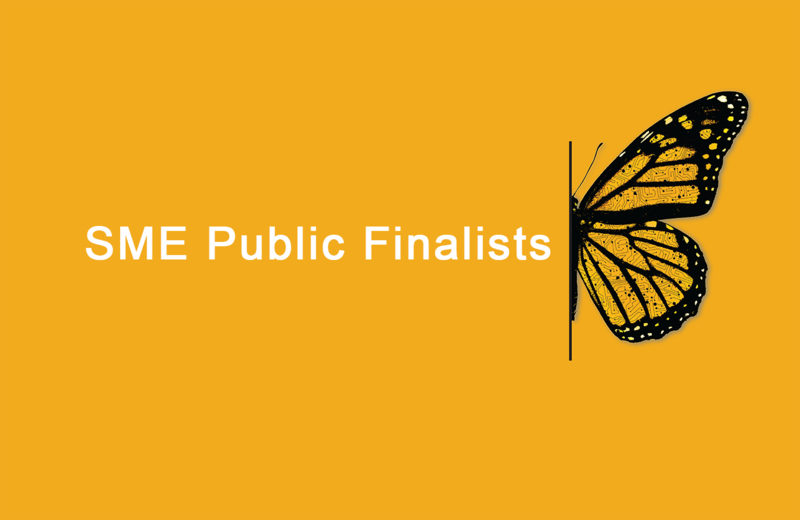 We’ve published several articles about Digital Transformation award finalists. Here is the collection. A collection of articles highlighting Digital Transformation award finalists. In winning the Large Public category at IT World Canada’s Digital Transformation Awards, The City of Toronto also learned a few lessons along the way about regulating the sharing economy, laying the groundwork for the plans for AirBnB it announced on Tuesday. When AirBnB hosts start registering with the City to rent out their homes on a short-term basis, they’ll be doing so with an online system, says Tracey Cook, executive director of municipal licencing and standards at the City of Toronto. “The City needs to know where AirBnB is happening and how it’s being used,” she says. How the sharing economy service that’s been riding a digital wave of success around the world hasn’t been without controversy. But Cook and the City of Toronto staff at least had the benefit of experience this time around, thanks to facing regulation of Uber’s rogue entry to the market in the Spring of 2016 (Uber first launched its app in Toronto in 2012). The private transportation company is well-known as the app that connects drivers with people looking for a ride, but is also known for operating outside of existing regulations and has been banned from some cities. Mayor John Tory came out favouring regulation of Uber rather than a ban, a path taken in other municipalities. City council agreed and voted to bring “ride sharing” firm under the city’s regulatory framework. Then they passed the ball to Cook. Meeting the expectations of Uber drivers that getting on the road is just a few clicks away was a priority. Cook says that a close partnership with CIO Rob Meikle and the City’s IT department was critical. Meikle and his team was able to develop a digital ‘Vehicle for Hire’ licencing system for private transportation companies that is now seeing $500,000 in monthly revenue. Today, the licences are issued automatically and directly to drivers smartphones. Thanks to the first e-licence in the country, Uber drivers can simply use a mobile app to display their licence to police. One reason Meikle says he’s proud of his team for the project – they were able to develop the solution with the City’s existing tools. Toronto uses a standalone tool for licencing called Progress. Meikle’s team was also able to harness the City’s SAP Business Intelligence solution to collect data about the Uber driver trips, which plays a role in determining the cost of a licence. Not only did the city find a way to allow Uber drivers to legally operate, but it took a few pages from the business model to improve the experience for licenced taxi drivers as well. For example, Uber drivers don’t have to complete a training course, but simply watch an operating instruction video and then receive constant feedback and ratings from their customers. They can also have their vehicles inspected by certified mechanics instead of a government source. Based on recommendations from a MaRS report, the City updated its requirements for licenced taxi drivers to be more in line with that standard. Among the savings for the city are the reduced manual processing of licences, elimination of city-run vehicle inspections, as well as taxi and limo training. The city estimates 22,500 staff hours were saved. Cook says that is a result of the automation that was put in place, helping to issue licences at a much higher volume without the need to hire more staff. Also, city staff were freed up from vehicle inspections. Those costs were returned to the industry through lower licence fees. But the best part of winning the Digital Transformation Award for Cook is feeling like her team is getting recognition for being agile and doing things differently. “We often get affiliated with red tape and bureaucracy and that’s not necessarily wrong in some cases, but in this case we got it right,” she says. Now they’ll try to get it right with AirBnB too. Check out ITWC’s Digital Transformation Award winner video for the city of Toronto below. Canadian Imperial Bank of Commerce (CIBC) undertook a long journey to become the winner of the Large Private Sector category of the IT World Canada Digital Transformation Awards announced on Wednesday. Three years ago, when the company made the decision to reposition itself as a digital transformation leader, sales from digital channels made up just two per cent of its revenues. Since then, it has appointed a digital transformation leader, and grown its digital team from 50 to 250. “Three years ago when I joined the organization, digital channels were small, and seen predominantly as a service channel – an alternate way for our clients to carry out their day-to-day banking,” says Aayaz Pira, senior vice president for digital retail and business banking at CIBC. “As we stepped back and started to look at the opportunity of digital in financial services, we realized that digital could act as a catalyst to transform more than just day-to-day banking services,” he says. The bank began looking at how digital could transform distinctive client experience. It planned to simplify processes and drive cost reduction, and drive profitable revenues. A landmark development for the bank was its creation of CIBC Live Labs in June 2016, located at the MaRS corporate innovation district, known as the C Suite. This is a digital innovation hub, designed to operate like a tech startup, with its own development team. It has created a range of digital products and services that have become a commercial success within CIBC. One project of which Pira is especially proud solves one of the biggest problems facing customers applying for a mortgage: visiting the branch to fill out mounds of paperwork. The Hello Home mortgage app uses in-app chat features to help gather information from applicants. This is an example of a prevailing trend in digital transformation: using technology to reduce the friction in previously cumbersome processes. Another example is the bank’s Digital Cart service, which allows customers to open a deposit account entirely on their mobile phone. It scans a driver’s license and prepopulates a form. It will also take a picture of a cheque, grab the customer’s signature from it, and use the amount that the customer wrote to fund and open the account. “We can use that on campus to help university student to open accounts,” Pira says. To help with entirely in-house developments like these, CIBC created its Mobile Quick Release team, which focuses on quick, incremental feature releases on digital products, typically turning them around in 60 days. To help with that process, the bank also had to update key legacy systems, migrating them to a service-oriented architecture that delivered IT functions as services via APIs. While it uses in-house resources to innovate in key areas, CIBC doesn’t reinvent the wheel. It occasionally reaches out to the fintech community where it makes sense. “We believe that fintechs are a strong part of the ecosystem. They force banks off the status quo, and force us to change,” says Pira. This month, the company also launched a free credit scoring service powered by Borrowell. Transforming an organization from the inside out to embrace digital channels is not without its challenges, though. Pira and his team had to raise awareness of digital transformation and win executive support for it in a bank that hadn’t done it before. It was like sprinting from a standing start. “Moving with speed in any large organization is going to be a huge challenge, just because of the nature and size of the bank, and the partners that you have to work with to get things to market,” he says. These developments have paid off, and it shows up in CIBC’s figures. Pira says that sales from digital channels now account for almost an eighth of its revenues, and it is shooting for 20% by 2020. Customers dealing with the company primarily via digital channels have the highest net promoter score (which gauges the loyalty of a customer, and how likely they are to promote CIBC’s services to others). The next few years will see CIBC innovate even more when transforming customer experiences. Check out ITWC’s Digital Transformation Award winner video for CIBC below. It may be small, but Humania Assurance should not be overlooked. The Saint Hyacinthe, Que.-based insurance company is this year’s small-to-medium-sized enterprise (SME) private winner of ITWC’s Digital Transformation Awards, which recognizes companies of various sizes for their digital transformation efforts. When asked what this win means to the company, Eric Levac, vice president of IT and digital strategy, explains that it is recognition that Humania is doing the right thing in digitizing its business. “We’re getting great feedback from the market, and having this formal recognition is really satisfying and encouraging for us. We started on this path in 2013 and this just confirms that we’re making the right decisions,” he tells ITBusiness.ca. Humania created a business rule engine (BRE) to automate the complex decision-making process of assessing risk and processing applications for life insurance coverage. And the client-centric component of this process is an online life insurance purchasing platform known as HuGO. HuGO, which took 22 months to develop and came to life in 2016, is a web application written in Java, using a Liferay portal, that receives customer information and immediately inputs it into Humania’s BRE. While it once took 20-30 days to issue a life insurance policy, the company can now do it in a matter of minutes. In fact, HuGO can issue decisions for approximately 65 per cent of applications submitted in just 15 to 45 minutes. But one of the key successful, and unexpected, results of HuGO was that it fostered more teamwork within the company, Levac says. “It enhanced communication between different departments and let them learn about what was being done in other areas. Because we were working in collaborative manner, it allowed us to surface and deal with regulatory, compliance, legal, and other potential issues much faster, which led to faster solutions that could be incorporated into the next iteration,” he explains. Humania has 142 employees, and as a small company, knows the pain of trying to transform a business with limited resources. “Being a small company with limited resources forces innovation I think, because you need to think differently and do things in a different manner because the standard route is often more expensive or less accessible,” Levac says. Finances are not the only challenge SMEs must overcome, however, as he points to personnel issues and time management constraints. He says it was difficult for the managers involved to switch their attention from one project or task to another that was completely different every few hours, or even minutes. But being an SME also means companies are more agile. “It can be easier for smaller businesses to make internal culture changes to foster innovation because they’re more nimble and close-knit, which is a force that the bigger players don’t necessarily have. SMEs also usually have less investment or dependencies on bigger systems, so they’re more willing to try different solutions until one works really well,” he highlights. But in the end, the effort was worth it and Levac urges other small businesses to take the digital leap as well. So far, the commercial success this digital transformation has brought about has been “impressive,” Levac points out. Since November 2016, close to 1000 independent brokers across Canada have opted to use HuGO, and as of June 15, 2017, more than 3,500 transactions had been performed. Humania reached $1 billion of face amount coverage by mid-April, he adds. “For us, being innovative is the only way to survive, and if you’re not doing embracing technology, you’re going to disappear eventually,” he concludes. Check out ITWC’s Digital Transformation Award winner video for Humania Assurance below. The ambitious vision of connecting every indigenous school in Canada to an HD video telepresence network seems to be bearing fruit. Connected North is this year’s public sector small-to-medium-sized enterprise (SME) winner of ITWC’s Digital Transformation Awards, which recognizes companies of various sizes for their digital transformation efforts. The Connected North program was founded three years ago by Cisco Systems Inc. to realize this vision, and is currently managed by the charity, TakingITGlobal (TIG). As of the 2017 Digital Transformation Awards, Connected North is involved with 30 schools across Nunavut, the Northwest Territories, the Yukon, Saskatchewan, and Northern Ontario. Its mission to provide 21st-century digital learning to under-served communities and ensure there’s enough support that the connected video networks become viable as a long-term approach to student engagement and learning has had real effect in indigenous communities all across Canada. In an age where keeping students engaged is of high importance, Connected North has found success where others have failed. And by all means, this idea to focus on providing a high quality video learning experience is working. A York University study in 2013-2014 stated that about nine in 10 students said that with Connected North’s remote learning experience they “learned more in the virtual sessions” than they would in a regular classroom. A University of Toronto study from 2014-2015 corroborated that Connected North is working, reporting that 86 per cent of students were actively participating during a Connected North virtual session, and that the highest levels of engagement occured when there was a cultural sharing opportunity. To accomplish this enormous task, TIG has collaborated with important partnerships of managed server providers, corporate sponsors, academic institutions, and government. Cisco handed over the reins to TIG, but remains an active partner by helping to create these partnerships. Connected North is working with service providers to boost the bandwidth available to schools across Canada’s rural northern regions, and has also been actively collaborating with indigenous local councils, boards, and governments as communities adopt the program. “It’s such a complicated kind of program to execute on, and it is only possible because of collaboration across all these sectors, and of course partnerships within the community. The ecosystem and the co-design philosophy of this program make it possible, successful, and compelling,” said Furdyk. And this is just the beginning for TIG and Connected North. The organization’s plan is to eventually migrate ownership and accountability for the program to local communities. The charity is mindful of how it can share its success with communities all across the country. “We are looking at not just our own growth, but to share our models and what is working with individuals and communities so that we can create positive change and create a solution that helps them be independent,” Furdyk explained. Check out ITWC’s Digital Transformation Award winner video for Connected North below. 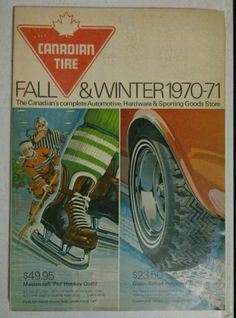 It’s not your father’s Canadian Tire Catalogue. His catalogue – much thumbed, printed on newsprint and frequently stained with axle grease – was a fixture on garage and basement work benches. But Canadian Tire stopped publishing print catalogues about 10 years ago. Then last year, CTC introduced the WOW Guide – a re-imagined, 21st-century guide and gateway to online shopping for everything Canadians need for the jobs and joys of Life in Canada. Far from being a nostalgic throw-back, the WOW Guide is the most ubiquitous symbol of CTC’s transformation into one of the country’s leading e-tailers. It’s emblematic of a larger digital transformation that earned the firm a nomination for ITWC’s Digital Transformation Awards, being held June 14 in Toronto. This transformation was initiated in 2012 by CTC’s senior management team and led by CEO Stephen Wetmore. It has involved a complete modernization of the company’s IT systems and has revolutionized the way the company designs its in-store and online customer experiences. It has forged new partnerships and unconventional investments that sometimes make CTC look more like a tech start-up than one of Canada’s most venerable retailers. Was the first retail partner in Communitech, a Waterloo, Ont.-based innovation hub that hosts technology companies and start-ups. Opened the Cloud Nine Digital Innovation Centre in Winnipeg and the Digital Garage in Kitchener-Waterloo, digital centres that create new technologies for the organization. Adopted agile methodology and respond to unpredictability successfully. Adapted the Simplified Managed Agile Responsive Technology (SMART) process that pulls together different teams from across the organization and has them collaborate in the same room, getting projects done on time and on budget. A Next Generation Talent program was created to attract new graduates and identify talent within the organization to help lead the digital evolution. CTC’s IT transformation has resulted in not only a more efficient footprint for its operations – 200 new VBlock servers occupy the same space as just 50 of the retailer’s own servers and have six times the memory and twice the processing power – but real business benefits. Its seen eCommerce transactions more than double since its WOW Guide launched in Spring of 2016, combining a 200-page print catalogue with a digital component through a mobile app. Other wins include eliminating a cumbersome quote process when selecting vendors by creating a short list that are easy to select. There have also been new flagship locations launched with cutting-edge technology that gives shoppers an entirely new experience. In order to digitally transform, Alberta-based electricity provider Enmax went back to the basics, starting with enhancing employee communication. Headquartered in Calgary, the Enmax business, through its subsidiaries, revolves around selling electricity to residential, small business, and large commercial customers. With 2,500 employees and contractors on the docket, when the company turned to digital transformation, it knew exactly where to start – employee communication. Traditionally, Enmax’ internal communication was simply through a corporate branded intranet and email that was considered one-way with limited data insights available. In order to gauge employee reactions and push out announcements, polls and surveys would be sent over Outlook and updates simply emailed to every employee. These practices would have to change in the present day digital world. Enmax is nominated for ITWC’s Digital Transformation Awards, being held June 14 in Toronto. Though nominations for this year are now closed, we’re covering every nominee that we’ve received in ITBusiness.ca ahead of the big event. As part of the company’s digital strategy, Enmax realized that it would need to grow capabilities that advanced the basic fundamental capabilities of its employees. This would center around providing useful, informative, and timely information on a better digital platform that revolves around the ideas of connection and collaboration. To do this, Enmax got on board with Igloo Software’s digital workplace. Under the new Igloo platform, which has been internally branded as Intramax, employees can subscribe to interested content to be updated on, collaborate with colleagues in their own team spaces and then connect with other teams, and learn more about what is happening inside of the company. Intramax also allows for the ability to search for company information, people, and processes. “With our Intramax roll out, we started to see additional value where our new social means of communicating were reducing the reliance on email as a collaboration and communication medium for enterprise information, while also creating a community and culture of openness and transparency,” said Wingate. A property rental management company might not be the first example that comes to mind when you think of digital transformation, but as the Canadian Apartment Properties Real Estate Investment Trust (CAPREIT)’s tenants have discovered, there are some real benefits to your landlord embracing the latest technology. CAPREIT, which owns interests in some 48,770 residential units, making it one of Canada’s largest residential landlords, has been nominated in the Large Private Sector transformation category of ITWC’s Digital Transformation Awards for developing a three-year strategy that, among other things, has digitized its HR, tenant monitoring, and bill payment operations. Though nominations for this year are now closed, we’ll be covering every nominee that we’ve received in ITBusiness.ca ahead of the big event, which is taking place on June 14. In his nomination form, CAPREIT head of enterprise business solutions Arn Kashino was unusually frank in describing the uphill battle his company faced in implementing a technology-driven business strategy, noting that while CAPREIT had previously invested in a few operational process efficiencies, overall, the technological revolution had passed it by. Fortunately, Kashino wrote, while CAPREIT did not immediately realize that relying on outdated technology was leading to such money-draining issues as higher payroll expenses and inefficient operations, its board did undergo a thorough search of innovative ways they could improve tenant service delivery – and in 2015, settled on appointing 18-year IT veteran Roberto Israel as its first-ever CIO. Once Israel was appointed, a business case was presented to CAPREIT’s senior executive team outlining the importance of digital transformation to future revenue growth, operational efficiency, and competitive advantage, Kashino wrote. A suite turnover mobile app, which has resulted in faster rental unit availability. Of course, ensuring CAPREIT’s digital transformation would be a success required a fundamental change in how technology was viewed across the company, Kashino wrote. To enable this transition, the company’s CAPTECH team underwent two internal strategic shifts: First, it implemented a flat organizational structure, to integrate the department’s previously siloed teams; and second, it enhanced the company’s IT infrastructure with business solutions to ensure that projects were deployed and supported successfully. Then it reached out to other departments to find out how it could improve their operations. In each department, CAPTECH’s teams would first collaborate with their colleagues to identify their unique challenges before presenting them with technological solutions. “This process helped the business areas understand that technology is more than just a supporting function to their work, but a core tool to move ideas, solve challenges, and galvanize opportunities forward,” Kashino wrote. The automated suite turnover mobile app alone resulted in the company expending 80 per cent less effort to prepare a rental suite for new tenants, boosting CAPREIT’s revenue by significantly reducing suite vacancy time, Kashino wrote – not to mention improving its reputation among tenants. The mining industry isn’t noted for its openness to change and technological innovation. However, Barrick Gold, the world’s largest gold producer, saw this tech gap as an opportunity instead of an obstacle – a way to differentiate itself in the industry and streamline its business operations. Barrick had a goal of becoming a “leading 21st century company,” which aligned well to its more specific ambition to lead the conversation around digital transformation in the mining industry. Achieving this goal, however, required a change of perspective around how mining operations are managed, and assessing the possible application of digital solutions that are now more readily available. This is not to say Barrick’s decision to go digital was a no-brainer. There were risks. Barrick worked extensively with Cisco and other technology partners to take their plan from vision to reality. The key challenge was ensuring transparency where digital solutions were being tested and implemented, since front-line employees — whose buy-in is crucial — did not have access to the company’s intranet. Leadership toolkits were also produced, and distributed to mine site supervisors so they could get up to speed and then disseminate information around digital projects to frontline employees. Once Barrick’s plan was finalized, the company made a formal press announcement of their plan and partnership with Cisco, which included a focused campaign trumpeting a new world of opportunities for the organization in the digital age. The company proceeded to bring digital training and skills development directly to its employees and their families, as well as to community stakeholders. Through Great Basin College in Elko, Nevada, Barrick, in partnership with Cisco, began offering free courses. This initiative will help create new talent pools and career opportunities for Barrick employees, which is particularly important as traditional mining roles transition to digital ones over time. A Consolidated Data Platform which enables other digital solutions to function. The Underground Short Interval control system, which allows underground equipment operators and supervisors to track vehicles and schedule tasks. Digital work environment tools, which allow mechanics to have a tablet in hand that helps them monitor selected job orders. Processing automation, which has both improved Barrick’s carbon management through operation and analytics, preventing ounce loss; and led to automating carbon and regent control in heap lurching, which means reduced downtime and reagent costs. The Predictive Maintenance team has also developed a usable exhaust failure detection model, which can detect exhaust failures with a six-day lead time. Barrick Gold is nominated for ITWC’s Digital Transformation Awards, being held June 14 in Toronto. Running a 150-year-old company that remains one of Canada’s most financially successful as if it’s a startup might seem counterintuitive, but it’s become integral to the way CIBC conducts business. The Canadian Imperial Bank of Commerce, whose predecessors opened in 1867 and 1875 before merging in 1961, has been nominated in the Large Private Sector transformation category of ITWC’s Digital Transformation Awards for pursuing a digitally-driven agenda, best illustrated by last year’s launch of CIBC Live Labs, a digital innovation hub designed to operate like a tech startup. Though nominations for this year are now closed, we’ll be covering every nominee that we’ve received in ITBusiness.ca ahead of the big event. The seed that would germinate into Live Labs is a familiar one: “Like many banks, digital at CIBC had been run as another service channel alongside branches, ATMs, and telephone banking, contributing two per cent of sales to the bottom line just three years ago,” CIBC digital channels consultant Sam Li writes in his nomination form. Now, however, “the explosive growth of digital and its potential to significantly change the traditional way consumers interact with their bank, along with the emergence of fintech, have created an urgent need for strong leadership to drive a client-focused digital agenda,” he adds. Two projects in particular have demonstrated the positive impact of digital transformation for CIBC executives, he writes: Live Labs, and Mobile Quick Release, a product-centric mobile development team that ships new features to clients every 60 days. Encouraged to experiment, test, and develop ideas that may sound less than profitable according to conventional measures, thus far the Live Labs team has developed such projects as an Apple Watch banking app (“within weeks instead of months,” Li notes), and the CIBC Hello Home mortgage app, the first product of its type to reach the market. Like any initiative, there have been challenges, Lee writes, noting that the majority of banks especially are risk-averse given the number of official practices they have developed alongside laws created to govern them over their long histories. Yet overall, the impact has been positive: other recent digitally-driven changes have included an expanded mandate for the digital team that includes an enterprise-wide transformation of CIBC into “the bank of the future”; regular town halls in which leaders from the digital team have collaborated with other executives on product and service prototypes; and strategic partnerships with fintechs – “a significant departure from the previous strategy of building capability internally,” Li notes. More importantly, he writes, digital services and innovation have become key to CIBC’s business model, which retains the goal but not the method of its 2014 counterpart: becoming number-one among Canada’s banks when it comes to client experience. Grown the CIBC digital team from 50 team members to over 250, with Live Labs instrumental in positioning CIBC as a leader in innovation, and a prime destination for technically inclined talent, he says. Natural language voice search for mobile banking. Silver for most innovative organization at ACT Canada’s IVIE awards. And on June 14, it hopes to add an ITWC digital transformation award to that shelf. It’s difficult to disrupt and transform an industry with set-in-stone, legacy business processes, but that’s exactly what Enercare Inc. has done with the HVAC sector. The Toronto-based heating, cooling, water heating and sub-metering solutions provider launched its customer mobile application in September 2016 in hopes it would transform the perception of the company from “the folks who fix my furnace” to “the company that makes it easy for me to run my house”. The easy-to-use app “creates a new customer engagement channel for customer service and sales, and enabling the first step towards a connected home consumer product offering,” the company explains to ITBusiness.ca. The “Uber-like experience for homeowners” provides a number of services, from proactive notification of issues, smart thermostat, carbon monoxide and smoke detection, to flood monitoring, air quality monitoring, and energy management. It was developed in-house at a company-wide leadership event via “facilitated brainstorming,” Zaguskin continues. Focused teams took ideas through various levels of elaboration, design, and building, and then built up support for the ideas with executives, business stakeholders, and across the organization. “We also involved employees in internal pilot launches to collect valuable feedback and generate buzz throughout the company,” she adds. The company is nominated for ITWC’s Digital Transformation Awards, being held June 14 in Toronto. Though nominations for this year are now closed, we’re covering every nominee that we’ve received in ITBusiness.ca ahead of the big event. So far, Enercare’s mobile app has been downloaded more than 10,000 times, with nearly 3,000 of its customers using the app to schedule service calls and interact with the company. “These results have exceeded our expectations by nearly 100 per cent. Using the mobile app, Enercare regularly interacts with customers to increase customer engagement, customer satisfaction, brand awareness and loyalty, and ultimately, customer lifetime value,” concludes Zaguskin. One doesn’t often associate farming with digital transformation, but that isn’t the case with Nature Fresh Farms Inc., one of Canada’s largest independent greenhouse produce growers. Nature Fresh isn’t new to using smart technology to manage its greenhouses (as you can see in the video below), but it’s taking another step forward by bringing mobility to its employees and customers. The firm is nominated for ITWC’s Digital Transformation Awards, being held June 14 in Toronto. We’ll be reporting on the nominations we receive ahead of the event. “These steps allowed Nature Fresh to change from a paper and word of mouth company to a digital one,” said Keith Bradley, Nature Fresh’s IT manager, while nominating the company for the SME enterprise or sector transformation award. Since transformation of this kind was new to both sides of the equation, Nature Fresh made sure that its employees on the maintenance staff and otherwise were prepared for the changes brought by using solutions like QR codes. The company was also able to reduce costs and increase production through these new methods. Staying ahead of competitors is always a top priority for any business in any field, and it has been the driving force behind the Tandet Group’s digital transformation. The Oakville, Ont.-based diversified investment company that specializes in the trucking sector through 11 separate companies was inspired to change after seeing how successful digital transformation could be in other industries. The firm is nominated for ITWC’s Digital Transformation Awards, being held June 14 in Toronto. We’ll be reporting on the nominations we receive ahead of the event. The company’s digital strategy started with three targeted objectives: eliminate paper, improve communication, and integrate the drivers’ in-cab experience with its dispatch offices. After several rounds of consultations and seminars, integral workflows and new technologies were identified and implemented. Tech platforms such as the Microsoft Office suite and Skype for Business were adopted to streamline communication, collaboration, networking, and document storage. Starting with the C-suite and key management allowed Tandet to showcase the effectiveness of the new transformative technologies and cultivate awareness within the company. Employees were also encouraged to explore the social aspects of the platforms, which resulted in new relationships, “sometimes between people thousands of kilometres apart that had never met before,” Cox says. From these changes, Tandet has experienced a 112 per cent revenue growth in the last two years, while telephone-related costs have declined by 75 per cent and person hours required for invoicing have been reduced by 50 per cent. Late billing improved by approximately five days, and so has truck maintenance and repairs, thanks to real-time updates from drivers and dispatchers. Employees can now check on the working status of any other employee in the company, and customers only need one phone number to contact anyone. Additionally, with an increase in social networking, Tandet saw a 290 per cent increase in donations to its 2016 Plaid for Dad Prostate Cancer Canada fundraising efforts. Like many industrial sectors, the paint industry is bogged down by manual systems, spreadsheets and thousands of emails every year. Dealing with these restrictions amidst rising demand and a need to stay competitive, Duha Group, a Winnipeg, Man.-based manufacturer of colour paint samples, paint fan-decks and colour systems, knew it needed to transform its operations to become more efficient and keep customers up-to-date. The company’s first move was partnering with Salesforce.com Inc. to migrate all of its sales processes that were originally handled manually, and within three weeks, celebrated the end of 17 spreadsheets. Things “snowballed” from there, Crabb adds, with Duha integrating more processes to Salesforce, such as tracking orders, customer notifications and factory floor notifications. For example, it used Salesforce’s Force.com platform to help streamline operations by using the mobile app development platform to build an object called Carters, which tracks an order from the point of sales until the time it’s shipped. Real-time order status is displayed in the manufacturing area so everyone knows the status and priorities, according to the company. “Every department in the company has bought into Salesforce because we’ve been able to give each team what it needs. This has been the key digital transformation success factor for us: the ability to easily deliver functional and operational efficiency to our teams and get their buy-in,” Crabb says, while praising Salesforce’s ease of use. Duha didn’t have to drastically redesign or reinvent any part of its business, saying that its digital transformation spread in an “organic” way across the organization. The company’s leadership came together to focus on delivering “exceptional customer experience” in this new “Age of the Customer,” managing director Rick Duha says. “Success breed success and once leadership felt the impact on both customers and employees of automating manual processes, they looked to see what else could be transformed with Salesforce,” Crabb continues. He has led the charge in fostering an open and transparent culture with the full support of leadership. However, one of the biggest challenges Duha had to deal with was information being locked in silos throughout the organization. “Endless spreadsheets and emails” created delays in communication between the company and its customers, as well as internal employee to employee communications. To combat this, Duha chose to implement Salesforce Chatter, an enterprise social network and collaboration software that connects every employee with files, data, and experts. The platform has allowed Duha to improve overall employee culture, fostering collaboration and transparency while also speeding up the rate at which questions from sales or customers get answered, from days to a matter of minutes. “Now, if you have a question about something going on in this building, it goes on the order via Chatter or in a social group – there is almost no email operationally. Ninety per cent of my emails are just pings from Chatter – that’s the only thing I use in terms of managing operational issues,” he says. The company also uses Chatter Groups to invite customers into private collaboration workspaces to share updates, provide approvals, and engage. The real-time virtual workspaces allow customers to get the answers they need without having to call anyone, which increases satisfaction and retention while also giving Duha a leg up on competition. The benefits have been substantial and immediate, says Crabb. He points out that when Duha integrated its shipments into the Salesforce system, it began having “really good” sales forecasting, right down to the day and dollar. It also has the ability to track on-time metrics and respond to events in real-time so that Duha can be proactive rather than reactive. “In addition, while sales have increased and manufacturing staff has grown to keep pace, the administrative headcount growth is far slower than our sales increases, which I think tells the story about the efficiencies we’ve gained,” he concludes. To survive amongst industry giants, mutual insurance company Humania Assurance Inc. has upped its digital strategy and placed client experience at its heart. The Saint-Hyacinthe, Que.-based business developed a business rule engine (BRE) to automate complex decision-making processes of an online life insurance purchasing platform (HuGO) in 2015. While it once took 21 days to issue a life insurance policy, Humania can now do it in a matter of hours with this system that “asks the right questions and interprets the answers in real time,” Eric Levac, vice president of IT and digital strategy, tells IT World Canada. HuGO is a web application written in Java, using a Liferay portal, from which information entered is immediately inputted by Humania’s BRE. The company wanted to focus on technological innovations like artificial intelligence to offer “quality, quick delivery and affordability…a rare combination in the insurance market,” he says. HuGO was developed and delivered in 22 months. So far, its commercial success has been “impressive,” Levac says. “Since November 2016, close to 800 independent brokers across Canada have opted to use it. As of March 6, 2017, more than 2,500 transactions had been performed. We reached $1 billion of face amount coverage by mid-April,” he explains. The company, which has 142 employees is nominated for ITWC’s Digital Transformation Awards, being held June 14 in Toronto. We’re covering all the nominations we’ve received ahead of the big event. Nominations for this year are now closed. Food Profit Group is helping restaurants in Canada optimize their food costs by finding the true cost of manufacturing for every single dish on the menu. The Moncton, New Brunswick-based organization is focused on improving menu pricing and food costs across an entire industry that believes that the failure to calculate food costs is one of the restaurant industry’s biggest failure causes and problems. To do so, the company has developed a invoice processing Software-as-a-Service (SaaS) solution that uses artificial intelligence (AI) and machine learning algorithms. Food Profit Group is nominated for ITWC’s Digital Transformation Awards, being held June 14 in Toronto. We’re covering all the nominations we’ve received ahead of the big event. Nominations for this year are now closed. The company was founded by food industry executives, a former chef and distribution industry sales executive, in 2012 under the name Food Tender and first created an app that would help restaurants with their invoices and with ordering supplies. Through this first experience, the organization discovered the true pain point that needed to be covered in the industry: menu and food costs. Thus, under parent company Food Tender Solutions Inc., Food Profit Group was born. The first challenge Food Profit Group had to jump over was the complexity of managing one’s costs, and the often anti-tech mentality presiding over the industry. “All existing food costing software required owners or staff to become manual keyboarders. Restaurant people are artistic creators of plate presentations and dislike technology use, so the decision was to remove all technology engagement as a sales obstacle,” said David Jonah, CEO and CTO of Food Profit Group in the company’s nomination. By turning to a SaaS offering that uses AI and machine learning, the company was able to cut down a five hour process to just one hour through automation. This service still helps with invoice managing, but it takes that a step further by analyzing the data provided by the restaurant to give the restaurant a break down of how much it is spending per dish. This is an act that restaurant owners are already doing, but Food Profit Group gives those owners an opportunity to save on the time required for those processes. The SaaS solution includes the ability to track when certain food prices are increasing and then suggest a plan to readjust to the new price, and a “food waste measuring stick” to optimize menus and prevent loss over food that has gone bad. It may seem like embracing digital transformation is obvious now, but tell that to the brick and mortar shops who have faded away. Founded in 1999 in Markham, ON., SinaLite came into being just as the digital bubble was about to burst. Originally, the print shop operated using traditional marketing methods: trade shows, word of mouth, print advertising, direct mail, etc. And as a local storefront, the company prides itself as an ace in customer satisfaction and providing that great in-store experience. An admirable trait that was challenged by the digital future. As the print business began to stagnate as it went digital, the company began the process of growing across Canada and the U.S as an e-commerce wholesale trade printer in 2008. SinaLite is nominated for ITWC’s Digital Transformation Awards, being held June 14 in Toronto. Though nominations for this year are now closed, we’re covering every nominee that we’ve received in ITBusiness.ca ahead of the big event. “SinaLite has always focused on customer service and going online eliminated face-to-face interactions with our customers. We had to find new ways to provide the same high quality of customer service in a remove format,” said Brian Meshkati, vice president of SinaLite in the company’s nomination. In its growth in the digital age, the company has grown from 30 to more than 140 employees, including the addition of digital marketing, development, and production teams. The SinaLite digital marketing team expanded past the average print shop in the last year using promotional emails, Google ads, social media, and other forms of online content created daily to keep customers engaged. Relying on these teams became a necessity as the company transitioned into e-commerce and moved away from printing one of its core products, corporate publications. In order to maintain that customer service the company prides itself on, it is using new digital features to make processes as easy as possible. This includes improving the user experience from placing an order to tracking a shipment, creating a user friendly website and digital storefront, and eliminate the wait time required for price quoting. “Our marketing efforts are not the only driving force behind our growth. Ensuring customer satisfaction is how we receive over 500,000 print jobs a year,” said Meshkati. First it was the mobile revolution that disrupted the banking system, now artificial intelligence (AI) is looking to make its mark. Finn.ai, a Vancouver, BC-based fintech company, is looking to digitally transform financial institutions and make banking easier for consumers by offering an AI-powered personal banking and financial management assistant. With Finn.ai’s smart virtual assistant, banks can provide a personalized wealth manager for every single client at zero marginal cost, and through any conversational channel, such as text, Facebook Messenger and other Android or iOS apps. Finn.ai is “at the forefront” of AI and automation technology – a good place to be as the world moves from a mobile-first world to an AI-first mentality, she says. 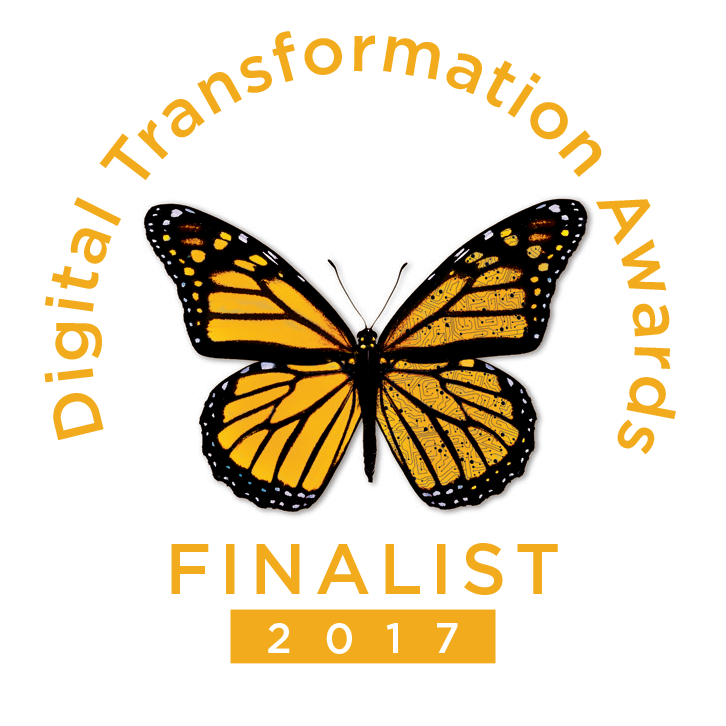 The company is nominated for ITWC’s Digital Transformation Awards, being held June 14 in Toronto. Though nominations for this year are now closed, we’re covering every nominee that we’ve received in ITBusiness.ca ahead of the big event. Finn.ai partners with banks and financial institutions, from proof of concept to production and live testing, to deploy its virtual assistant. Working with Finn.ai has allowed its clients to increase operational efficiencies, revenue, as well as their customer base and customer retention, pointing to its partner ATB Financial. “With our partners, ATB Financial, we launched a production grade virtual assistant to perform money movement (the first of its kind) through Facebook Messenger. Day one, our virtual assistant will look to answer 20 per cent of low level questions for ATB – allowing their agents to answer higher level questions. We will expect to see a growth in new millennial customers and retention,” Lin adds. She continues to add that by working with Finn.ai, banks are encouraged to “further advance their technological systems” and digitally transform their business. “At the core of our company is the culture of innovation. By working with us, several of our clients have revisited their digital strategies and had conversations within their leadership team to drive this initiative forward,” she explains. WhoPlusYou was created to innovate and transform an inefficient employment system by offering both employers and job seekers a new and more dynamic way to find each other. 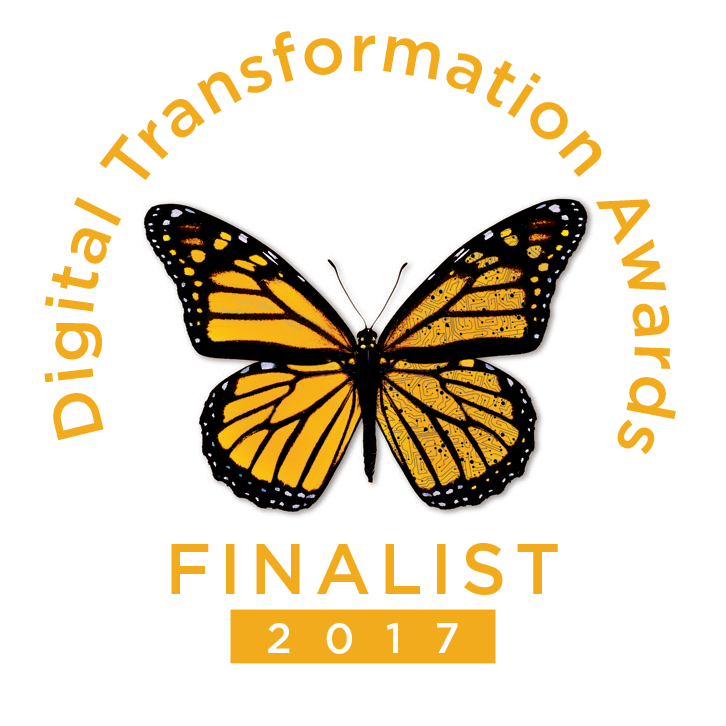 WhoPlusYou is a finalist for ITWC’s Digital Transformation Awards, being held June 14th in Toronto. 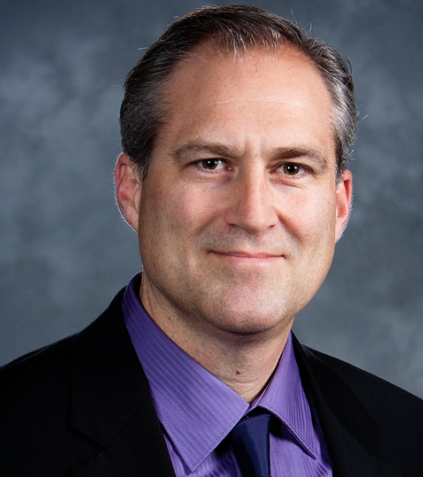 WhoPlusYou is founded by entrepreneur Doug Walker, previously of Sun Microsystems, IBM, and BitTorrent. Walker and his team at WhoPlusYou have built an adaptable and results-oriented culture that supports long-term transformation while maintaining the flexibility to respond appropriately to emergent opportunities and challenges in real time. “What WhoPlusYou offers, is advanced intelligent technology, providing unparalleled real-time labour market information to propel economic development for communities and regions across Canada,” said Mark Patterson, Executive Director of Magnet. WhoPlusYou’s data driven platform is being adopted by the Ontario Centre for Workforce Innovation, the Province of Ontario, and the Council of Ontario Universities and Colleges Ontario. Widespread adoption: WhoPlusYou customers join an unprecedentedly well-connected and growing network. It serves over 100,000 job seekers, more than 10,000 employers, 200 community and labour organizations, and 31 post-secondary institutions. Employer needs met: WhoPlusYou utilizes a ‘common language’ or taxonomy to describe individuals’ educational background, functional job skills and employers’ specific talent needs. Employers and service organizations build “targeted searches” to find the right people for the job, saving time and money. Employers can create relationships with qualified candidates ahead of their hiring needs, essentially building a talent pipeline. Job seeker needs met: Once the job seeker’s profile is registered, the system immediately provides the candidate with job postings their preferences, in real-time. It acts as a 24/7 recruiter. In addition, job seekers can receive targeted messages on networking opportunities and events, as well access an online learning center, which houses resources and guides to help job seekers find employment. In addition to digital transformation, one of WhoPlusYou’s core values is diversity, and it has developed features to support targeted diversity recruitment. This has given it access to segments of the employment market that other services cannot access, and has enabled it to respond to emerging needs — for example, the resettlement and employment of recently arrived Syrian refugees. “As the platform for Magnet, WhoPlusYou has driven and continues to drive transformation in employment. Employers are able to find the right people faster and more efficiently, as well as recruitment to meet diversity targets for underemployed populations, especially people with disabilities, newcomers to Canada, Indigenous peoples, women etc. It allows for under-employed and unemployed people to find meaningful opportunities, creating bridges between different socio-economic, cultural and demographic groups It is an innovative system that can affect real change”, Mark Patterson concludes. It’s no secret that hiring practices are ripe for digital disruption. No less an authority than CareerBuilder has found that more than half of HR managers expect their jobs to incorporate artificial intelligence (AI) over the next five years, while LinkedIn, perhaps the tech industry’s greatest gift to recruiters and HR managers alike, has posted numerous articles outlining why, for instance, unstructured interviews and reference checks are less than likely to help managers identify top candidates. Meanwhile, those who require empirical evidence are invited to pore over talent management expert John Sullivan’s research, which found that 46 per cent of all new hires fail within 18 months. Curasion Inc. believes it has the answer. The Toronto-based startup, which is on a mission to reinvent the talent acquisition process by applying Uber Technologies Inc.’s “gig economy” model to enterprise hiring and recruitment, has been nominated for ITWC’s Digital Transformation Awards, which are being held on June 14 in Toronto. Though nominations for this year are now closed, we’re covering every nominee that we’ve received in ITBusiness.ca ahead of the big event. Like Uber and Airbnb, which Dillane frequently compares it to, Curasion’s business model involves connecting eager customers – in this case, Fortune 500 companies – with a ready pool of independent talent that is paid on a per-contract basis. Employers enter a temporary position they need filled, and Curasion offers a pool of, according to its website, “top-tier, in-demand independent professionals” to select from, the position automatically matched to the skills, experience, and availability of potential candidates. Unlike traditional staffing agencies, which largely depend on static databases to help employers with positions that are often filled at the last minute, Curasion emphasizes its pre-curated talent, Dillane writes, leveraging both past and present employees to create wide-ranging, cost-effective talent networks that can be tapped as needed whenever employers require specific skills or competencies. Simply put, its powerful search engine allows organizations to narrow their search so they are only viewing candidates who meet specific skill levels and profile ratings, or who have demonstrated their ability to meet similar responsibilities in the past. In fact, an enterprise that employs 5000 contractors every year can expect to cut their talent acquisition fees in half by switching to Curasion, saving between $91 and $110 million, he writes. Altogether, Curasion’s journey has taken approximately two years from concept to execution, Dillane writes: The company officially launched with its first customer, consulting firm Deloitte Canada, in March – and the company’s initial feedback suggests that implementing Curasion has exceeded expectations. And with 17 more customers in the pipeline, the company is only starting to prove what’s possible with an online platform, Dillane writes. Kinduct Technologies is a digital enterprise that has learned to leverage its strengths, embrace change and adapt to solve real-world challenges. The Halifax-based software-as-a-service company, whose performance tracking and enhancement software are used by some of the top teams in the MLB, NBA, NHL, and NFL, wanted to grow but was not entirely clear on how to achieve substantial and sustainable growth. The answer would come after a business analysis, which strongly indicated that the company was excessively focused on the public healthcare market. Kinduct leadership team quickly identified a new high-potential market for its innovative products and services — professional sports teams. The company aggressively developed its “Athlete Management System,” through which it penetrated its target market in relatively short order. Kinduct is now a world-leading athletic data and analytics software provider. The company’s highly secure, cloud-based platform allows human performance, health and wellness organizations to spend less time managing their data and more time using their data to inform decisions, promote constant improvement, and produce exceptional results. Kinduct Technologies is nominated for ITWC’s Digital Transformation Awards, being held June 14 in Toronto. Kinduct is the software provider of choice for many world-leading professionals and elite sport organizations, military and public safety units, physical medicine clinics, and health and wellness institutions. The company’s shift in business strategy resulted in more than 100 per cent growth between 2014 and 2015. Kinduct signed contracts with organizations in the NHL, MLB, NFL, and MLS, grew its customer base by over 200 per cent in 2015. Digital transformation is paying off, literally, for Surrey, British Columbia-based Coast Capital Savings Credit Union. After a 2016 vote in which 80 per cent of the provincial credit union’s members voted in favour of turning Coast Capital into a federal credit union and expanding its services across Canada, the 77-year-old organization, which has been nominated for ITWC’s Digital Transformation Awards (DTAs), is well on its way to implementing what it calls a “high-end digital strategy” expected to expand its 532,000-member base by another 50,000 over the next five years. Though nominations for this year’s DTAs are now closed, we’re covering every nominee that we’ve received in ITBusiness.ca ahead of the big event, which is being held on June 14 in Toronto. To develop its high-level digital strategy, Coast Capital collaborated with one of the so-called “big five” consulting firms (Accenture PLC, Deloitte Touche Tohmatsu Ltd., EY, KPMG International, and PriceWaterhouseCoopers [PwC]) on a series of iterative sessions involving both the organization’s executive committee and key business and technology leaders. The company’s new business model includes using a digital-first approach to new members, designing a “branch of the future” that emphasizes collaborative over individual space, and developing an “innovative new product” scheduled to be launched in 2018. Coast Capital communicated its new strategy through a CEO town hall, along with a variety of smaller department meetings and lunch and learn sessions. To support its efforts, Coast Capital has turned to Cisco Systems Inc., which has provided core network infrastructure including application program interfaces (APIs), microservices-based banking integration, and predictive analytics at a large enough scale to easily support its expansion across the country. Dave Spence, Coast Capital’s account manager at Cisco, told ITBusiness.ca that like many businesses today, Coast Capital’s network requirements needed to evolve to better support the needs of both its members and business. Wong and Wong would no doubt be more than happy to agree. Managing the lifecycle of oil and gas resources is a big job when you’re regulating the core of Canada’s energy sector, and the Alberta Energy Regulator (AER) realized it needed a digital transformation project to make it work. Established in 2013 after the merger of Alberta’s Energy Resource Conservation Board and the Ministry of Environmental and Sustainable Resource Development, the organization serves Alberta’s energy industry in helping them meet environmental compliance standards – and enforcing those standards. Energy producers in Alberta are required to conserve and reclaim the land disturbed by their activities, attaining a reclamation certificate from the province when they’ve proved that they’ve fulfilled their obligation. Producers must salvage and store ground soil where possible and when finished harvesting energy from an area, restore plant life. Soon after the merger of the bureaucracies, AER set to work on making its awarding of reclamation certificates more efficient. The process originally required manual data entry and multiple steps, with capture of the necessary information repeated often. A $1.6 million project to address the problem has led to $6 million of savings annually to AER’s upstream oil and gas clients, a 275 per cent return on investment. Beyond that, the project served as an IT governance model for the digital transformation at the rest of the organization. AER is nominated for IT World Canada’s Digital Transformation Awards, being held in Toronto June 14. Working with OpenText to aggregate weather data and climate information, environmental air quality information and precise geographic and location data helped the regular get a grip on the information it needed to deploy the right resources across the province. Solution provider Habernero played a key role in implementing the enterprise information management system and reworking AER’s website to double as a public information resource and a self-service portal for stakeholders. AER created a defined reference architecture before embarking on the project, so it could be confident the right technology was selected for the whole organization. It adopted the open group architecture framework and developed a service-oriented architecture approach to guide those decisions. With that solid governance model in place, AER set down the path of a phased digital transformation. It’s now following a three-year plan that will many of its service delivery models transformed, from emergency response, to approving pipelines, to field surveillance, to the management of aging infrastructure and land. Not only has AER already realized cost savings from its efforts, but the public organization has engaged a wide array of stakeholders around its regulatory approvals process, from the Farmers Advocate to the Canadian Energy Pipeline Asociation, and received full support for its IT objectives. Before its digital transformation Kinark Child and Family Services, a Markham, Ont.-based child mental health services provider, was not just behind the pack technologically — it was nowhere to be seen. Kinark CIO Karim Ramji was convinced his organization could continue to be a healthcare industry leader in a high-speed world, keeping its commitment to children and youth even as it directed its energy toward being innovative and future-ready. Kinark sought advice from Telus around their antiquated infrastructure and IT processes. Telus’ team focused on understanding Kinark’s business, processes, and people, working with Kinark to right-size a solution, watching budgets, and ensuring there was no compromise on the tech level. Telus collaborated with partner such as Apple, Cisco, Alayacare, and People Soft to come up with a next-gen Wave 3 cloud solution featuring: TC2 cloud voice services; Telus TC3 contact centre; IP networking; blazing-fast internet; Webex; email; Meraki firewalls; VPN security; fully managed VITILcare LAN/WLAN; SIP voice services; Mobility; Hosting; HR/payroll time and attendance; and a clinical information system for scheduling and medication management called KIDS5. Pictured, left to right: Cynthia Weaver, VP, Strategic Initiatives, Kinark; Dr. Vicki Mowat, Senior Director, Planning and Research, Kinark; Dr. Laurel Johnson, Clinical Director, Community Mental Health Chief of Psychology, Kinark; Karim Ramji, Chief Information Officer, Kinark; Lynn Holloran, Account Executive, Healthcare, Telus; Cathy Paul, President and Chief Executive Officer, Kinark. Kinark’s journey to digital transformation began with its strong board and executive team. With TELUS as a single provider of all IT voice/data, telecom, HR, financial, clinical information systems, and security, Kinark is in an enviable position as the IoT and cloud enter a boom period. “With no need for large Capex or in-house resource investments, Kinark is seen now as a pioneer and thought leader in healthcare cloud solutions,” said Holloran. “They are believed to be the largest deployment of multiple cloud solutions in the Canadian healthcare industry driving change. Digital transformation isn’t achieved overnight, or without including every stakeholder along the way, a truism the City of Mississauga knows very well. Since 2015 the city, located southwest of Toronto and currently home to more than 720,000 residents, has been pursuing an IT Master Plan which recently earned it a nomination in the Large Public Sector transformation category of ITWC’s Digital Transformation Awards. “The IT Master Plan process was innovative and unique in how it engaged the tech sector and industry in the process,” City of Mississauga IT director and CIO Shawn Slack writes in his nomination form. Improving services through innovation and partnerships. Though it’s presently the sixth largest city in Canada, Mississauga was only incorporated in 1968 and faces many growing pains in such key areas as transit, traffic management, social housing, and other key services that create a sense of community, Slack writes, and convincing its mayor and councillors – the c-suite, so to speak – that technology investment and innovation were equally important proved to be a challenge. In his DTA application, City of Mississauga IT director and CIO Shawn Slack notes that it was important for his department to make sure everyone in the city supported its IT Master Plan. “Aligning the [IT Master Plan] with the City Strategic Plan, a 40-year plan that guides growth and city building, and demonstrating value in how services are delivered, is a key challenge,” he writes. Fortunately, Slack writes, the city was able to recognize that what they saw as adoption challenges exacerbated by a daunting rate of technological change also represented an opportunity to improve city service delivery – and to address the challenges that remained, began developing what became the IT Master Plan. The city’s key innovation with the IT Master Plan was to recruit tech industry leaders and internal stakeholders to re-imaginine how services could be redesigned through the lens of innovation and technology. For example, drawing on practices in the private sector, city services such as the Mississauga library, transit, recreation, and fire response systems were encouraged to develop “technology road maps,” a series of specific initiatives that would advance each service in an innovative way. The impact was significant, Slack writes: between them, the divisions identified more than 75 potential technology-based initiatives across all of Mississauga’s civic services, some of which have already been submitted, including programs related to Canada 150 and public transportation infrastructure funding. For example, the city has built a publicly owned fibre network that connects all of its facilities, many services, and even devices such as traffic intersections. The ROI has been palpable, he writes: By investing in its in its online recreation system, for instance, the city was able to process over $1 million in payments in just 24 hours during peak registration. Slack also notes that the city has also been a leader in providing free Wi-Fi to its residents, who can access the service from all city libraries, community centres, marinas, city hall, and a select list of public spaces that continues to grow that service. In 2016, he writes, residents and visitors consumed the equivalent of 407 years of Wi-Fi service. The city even recently announced a partnership with international roaming access service Eduroam, allowing students from the latter organization’s postsecondary institution network access to Mississauga’s public Wi-Fi network. When a progress report on the IT Master Plan was presented to city council members at the beginning of this month, Slack writes, it was met with “very positive support” from the city’s mayor, councillors, and senior leadership team. 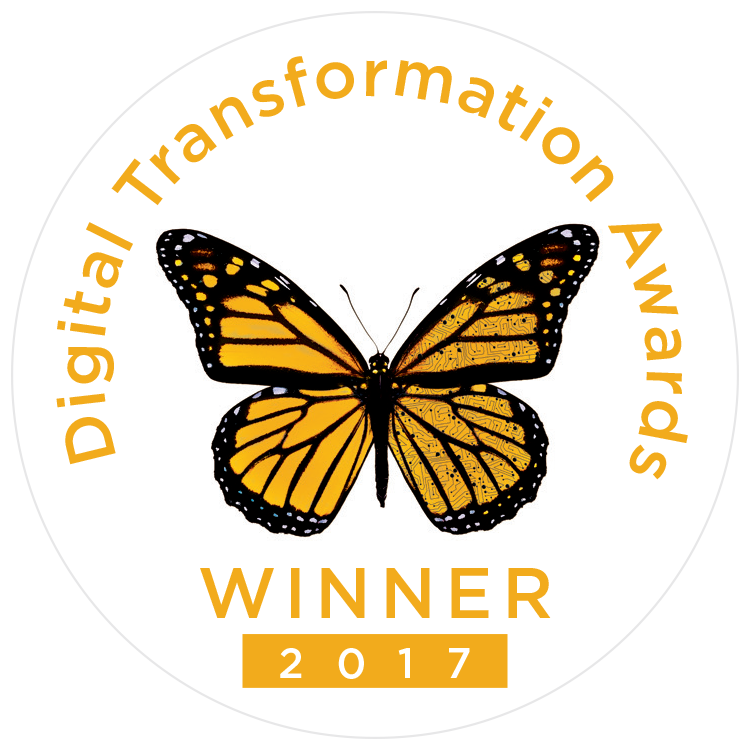 ITWC’s Digital Transformation Awards are being held on June 14 in Toronto. What began as a discussion about how to regulate Uber led to the City of Toronto implementing a new, digital Vehicle for Hire solution that created new revenue streams and saved $3.4 million in operating costs, according to the city’s nomination for IT World Canada’s Digital Transformation awards. The City of Toronto is a finalist in the the large public organization category. In the Spring of 2016, the City of Toronto faced an issue that many cities across North America were also pressured with. The new disruptive “sharing economy” service Uber was operating unregulated transportation and displacing the licenced taxi industry. According to one MaRS Discovery District report, Uber claimed to have 15,000 drivers compared to the 10,000 licenced taxis in the city. After city council voted to bring private transportation companies like Uber under a legal framework, its staff implemented a new digital solution that would not only allow for rapid issuing of licences to drivers, but created new revenue for the city thanks to a service provided to private companies. Facilitated by a SAP Business Intelligence service, the city can provide companies like Uber trip data, and is earning $500,000 monthly for its efforts. Creating the right strategy with Uber was no free ride. While many citizens were fans of the service, licenced taxi drivers protested unfair treatment compared to the new class of unlicenced drivers swooping in to take their customers. To find the best approach, Toronto’s Municipal Licencing & Standards (ML&S) division engaged global experts on the issue and collaborated with innovation hub MaRS. It held a Sharing Economy Forum in October 2015 there, and produced further study from the institution that helped inform policy. Today, almost all transportation company licences are issued automatically by the city and can be turned around in 24 hours, seven days a week. Licences are also now digital with the creation of an e-licence, which is the first of its kind in Canada, allowing drivers to display it to police from a mobile app. Since 1914 Family Service Toronto (FST) has been connecting families and individuals in distress to counselling, community development, advocacy, and public education programs – and used paper to keep track of its clients for nearly that long. Three years ago, however, FST found itself in the same circumstances faced by many government-backed agencies, not to mention governments themselves: faced with a declining budget and rising demand, the Toronto-based non-profit had to figure out how it could trim its budget without reducing services, and settled on digitizing its records, which literally spanned hundreds of boxes. In fact, like many government agencies FST arrived at its decision to digitize its records after conducting a 10-year cost benefit analysis, which indicated that investing in a digital document management solution would be a good idea, FST CFO Vani Visva writes in the organization’s nomination application. With support from FST’s senior management team, the organization enlisted the services of Xerox Corp., whose team, led by Ravindran, digitized some 500 Bankers boxes of past and present paper records, storing them in Docushare for easy access. To adapt their solution to FST’s various record types, Ravindran’s team was careful to design their platform’s file architecture and meta data structure based on the needs of FST staff, which changed based on the documents being processed. Its passport program, for example, is now completely automated. Through Xerox, the organization purchased and implemented Docushare’s “eform” module, Ravindran says, allowing his team to configure and automate the processes. FST now provides secure online access to clients, allowing them to check their budget balances and submit their invoices online. And to ensure the organization’s new record system remains digital, staff now use multi-function printers and desktop scanners to scan and integrate documents into Docushare, where all client databases are now linked, Visva wrote in her application. Key to the project’s success, Visva writes, was the support it received from senior management, which included the appointment of a dedicated executive manager to lead the project and numerous consultation sessions. Education was also key, she wrote, with FST holding training sessions for grateful staff, whom she indicated were tired of chasing paper. Moreover, the organization reduced its passport processing time by 60 per cent, thanks to the elimination of such activities as searching, checking, approving, following up, printing, and shredding, while increasing its service’s accuracy. ITWC’s Digital Transformation Awards will be held on June 14 in Toronto. Be sure to check back with ITBusiness.ca for more nominees’ stories ahead of the event. When Cisco Systems Inc. began the Connected North program three years ago with the vision of connecting every indigenous school in Canada to an HD video telepresence network, you might call it an ambitious goal. But once you learn that students report liking science learning more as a result, it seems like anything is possible. Connected North is nominated for ITWC’s Digital Transformation Awards. Since the networking vendor founded the program, the management of it has been taken over by charity TakingITGlobal (TIG). Cisco remains an actively involved partner, acting as technology provider and a collaborator with TIG to help manage service partners, corporate sponsors, academic institutions, and government. In 2017 the Connected North program will be operating in 30 schools across Nunavut, the Northwest Territories, the Yukon, Saskatchewan, and Northern Ontario. Its mission is to provide 21st-century digital learning to under-served communities and ensure there’s enough support that the connected video networks become viable as a long-term approach to student engagement and learning. Connected North is a nominee for IT World Canada’s Digital Transformation Awards, being held June 14 in Toronto. According to a study conducted by York University in 2013-2014, about nine in 10 students said that the remote learning experience with Connected North actually “made science more enjoyable.” Also they felt they “learned more in the virtual sessions” than they would in a regular classroom scenario. Teachers were also happy with how easy the technology was to operate. Another study by the University of Toronto conducted in 2014-2015 found that 86 per cent of students were actively participating during a Connected North virtual session and the highest levels of engagement occurred when there was a cultural sharing opportunity. To deploy the HD telepresence network in Canada’s rural northern regions, Connected North had to work with service providers to boost the bandwidth available to schools. The charity also collaborated with indigenous local councils, boards, and governments as the program was adopted. The plan is to eventually migrate ownership and accountability for the program to local communities. The hope is that improved connectivity and interaction with more field experts through the telepresence channel will lead to a lower dropout rate and better student engagement. Large or small, a more collaborative workplace is a more productive workplace, a tenet enterprise platform developer Igloo Software is more than familiar with and that the College of Registered Nurses of Manitoba was happy to learn. The College, which experienced a significant boost in workforce engagement and productivity after implementing the Igloo platform at its 35-person office last year, has been nominated in the Public Sector SME transformation category of ITWC’s Digital Transformation Awards, which are being held on June 14 in Toronto. While the College communications team did their best to keep the page “fresh and creative,” Hancock says, without a graphic designer on staff their options were limited, and there were few attempts at collaboration, with the office’s various departments focusing on their own as they strove to meet deadlines. “We knew we needed a new platform for employees to share information and work in a digital space and we knew this platform needed to be easy to build, implement, and use on a daily basis,” Hancock writes. After selecting Igloo as its digital partner, the College began plotting its digital transformation, spending “a considerable amount of time” with Igloo employees to ensure a smooth, strategic transition. Building the ambassador program, she notes, made for a smoother transition, since the College was later able to launch the Igloo platform with digital champions in place who could help others that were new to the platform. Ambassadors were also carefully selected to include employees of multiple ages, from different departments, and with varying backgrounds in technology, which helped the College and Igloo’s ambassadors test their new strategy and identify areas for improvement. Naturally, one ambassador was from the College’s leadership team, ensuring that all necessary information would be filtered through the c-suite, eventually ensuring awareness and engagement at every level of the organization. The communications team also recognized that moving the College onto a collaborative digital platform would require a significant shift in mindset for both staff and leadership, and planned accordingly. The team encouraged the College’s workforce to embrace the Igloo platform by showing how it could be used to connect for events. They also began running ongoing contests that encourage staff to post in Igloo instead of sending emails. They also make a point of congratulating staff members who post something creative, or try a new function for the first time. Since implementing the platform at the end of 2016, the College has seen its investment pay off relatively quickly: Based on the industry standard of 15 per cent savings in productivity, its investment in Igloo paid off after just 7.5 days.